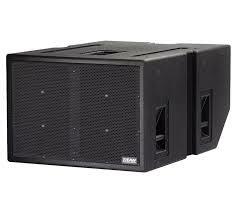 eaw speaker on rent in delhi ncr gurgaon greater noida ! Event sound speaker on rent ! hire event sound ! high profile speaker ! original speaker on rent ! event speaker setup ! Eastern Acoustic Works design and build the hardware and software needed for every requirement for. Permanent or touring sound for Small room to large stadium. A U.S.A base sound and audio equipment's manufacturer is famous for unique sound quality best series are Redline, Radius, KF, QX,MK Series. This company is finally takeover by RCF. These are very high end, high headroom, high fidelity speakers designed for professional PA use. Speakers include a matching set of LeCover speaker covers.